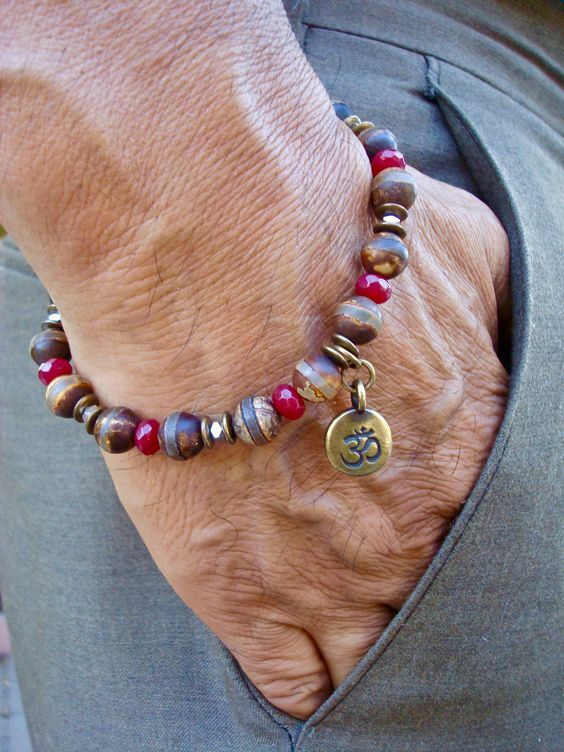 If we could mention just one thing that has been in for a good while – and doesn’t seem to be going out of style so soon – is the ‘bracelet’. And the styles are just many, there are those with stones, others just in leather, or a combination of different styles. Jade bracelet is being recognised as a new statement maker. In the Chinese culture, intricate cuffs and bangles carved from jade have been popular for at least four thousand years. Many Chinese parents gave their children jade bracelets because they thought the jade would protect them. Jade is believed to have healing properties for the stomach and kidneys. The Chinese also believed that jade helped them to communicate with spirits that roam the earth as well as give them the power to protect the living and the deceased. Why to buy men’s bracelet? These bracelets are everywhere in the Vogue Paris runway! 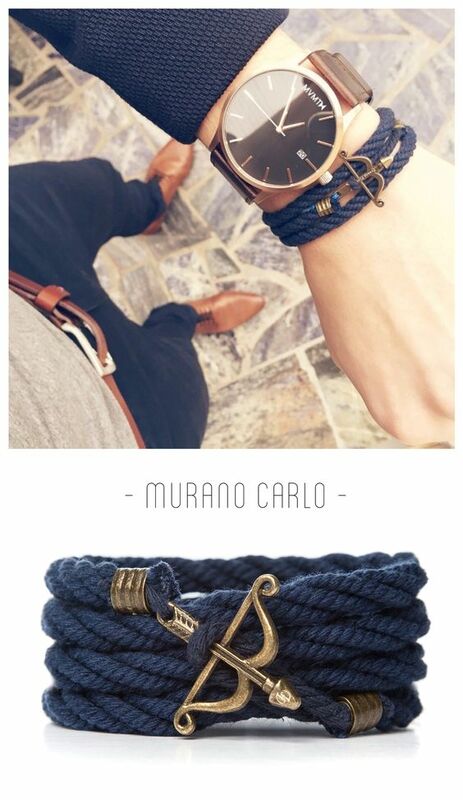 The accessories play a very important role in giving details to make the perfect look, every for menswear. We at Merry Käufer believe that style is in the details. So, follow our trend of the month right away, and make those details stand out! That’s right - a couple of bracelets on your wrist! Don’t worry, they are never too much. If you’re going to the beach, for example, we recommend the nautical kinds, but also the ones in leather, so that you can mix and match. Now if your idea is going out with your friends at night, the strings and fabric make the best pick. After all, since they’re always colorful, it’s a good idea to make your look brighter. Think about it. On the other hand, if you’re more the neutral kind of guy, we suggest mixing the metal and the leather bracelets (all in darker colors). You are the tough guy? If you have a watch, you just need a bracelet and glasses! 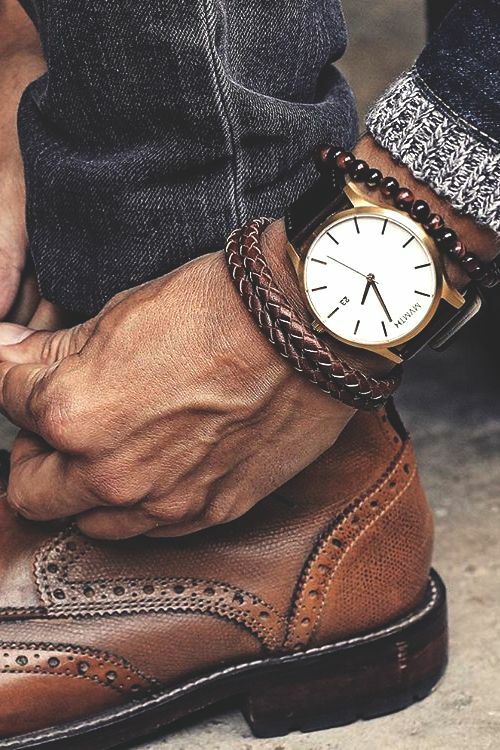 Define your style with a white/ gold leather watch by pairing it up with leather and jade beaded bracelet. This bracelet is intricately crafted from the finest cotton cord and fastened using Bow & Arrow charm. The ultra-thin cord (5mm) is complimented by the handcrafted bronze detailing and is available in a variety of colors.